Toyota has launched a new Approved Used Car Warranty designed for older and higher-mileage cars. The new scheme lets buyers purchase an extended warranty covering up to five years and is a Toyota backed warranty, not a third-party insurance product. Customers buying a Toyota Approved Used Car with up to 150,000 recorded miles get a minimum 12 months’ warranty, with the option to 'top-up' the extended warranty to provide up to five years of cover. If the used car is less than five years old when purchased, up to 48 months’ warranty can be added while if it is between five and eight years old, up to an extra 24 months can be purchased. 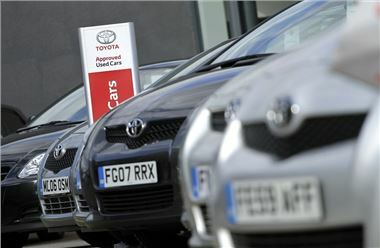 Toyota has also launched new monthly payment plans so buyers can spread the cost of their cover across a fixed term of up to 48 months, subject to the age and condition of their vehicle. The terms of the Toyota Approved Used Car Warranty mean that, should any part covered by the warranty fail, it will be fixed at an official Toyota Service Centre, using genuine Toyota replacement parts. There is no charge to the customer for parts or labour; they are only required to pay for scheduled annual servicing and maintenance. The warranty includes MoT test cover and can be upgraded to include roadside assistance through membership of Club Toyota. The extended warranty includes 12 months’ club membership. That would be the right choice. If someone wants to own a used car then why we should we buy any other car, instead of that we have to buy Toyota used car with warranty period.